Apple has been proven to be one of the top performing phone manufacturers in the world. There is no doubt about iPhones being the go-to for people from different walks of life. From iPhone 4, 5, 5s, 6, 6s and 7, the technology has indeed grown so rapidly that we almost couldn’t catch up. What do you know about iPhone 7 battery lifespan? This has always been the issue for iPhone fans and users. Because the phone contains tons of different features and can be used for multi-tasking, the pitfall seems to always be the battery life. Consumers complain about having to recharge their phones over and over in a day. 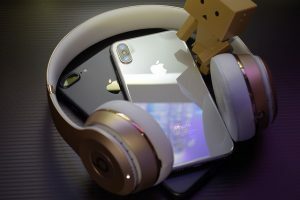 Since iPhone 7 was released worldwide in September of 2016, a lot of fans raved about the new technologies it offered then. Who would have known there is more after the 6 series? In this article, we will talk about the technology behind iPhone 7’s battery and some of the ways you can prevent your battery from draining in general. Apple has always promised to deliver in terms of battery technology. But because new technologies like apps seem to just take up a lot of power when used, things still get complicated. Indeed, battery life is complex to deal with. Phone experts perform battery testing to see how much power an iPhone can store for a certain number of hours. They did so for iPhone 7 too. Naturally, iPhone 7’s battery has been made bigger than that of 6s. To back this up, a bigger and faster processor was also built in it. The battery was made to last longer and not lose power when the phone is not in use. However, phone experts have found out that Apple’s promise may not actually be true according to their tests. 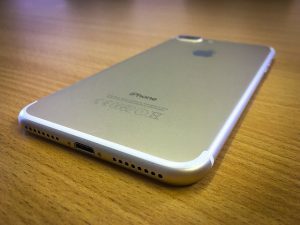 The iPhone 7 is supposed to last 2 hours longer than the iPhone 6s, but the tests proved otherwise, even with the size of the battery. In total, iPhone 7 only lasted 6 hours and a few minutes, which is unexpectedly too short for a power lifespan. This shows that the phone has a stamina even weaker than that of iPhone 6s. The testing was done by using the phone constantly with the speakers in halfway volume and the brightness at 60%. Such settings are ideal and common for iPhone users. The test results also show how much power (in percentage) each of the app/activity eats up in the phone. For instance, an hour of browsing through your emails or social networks via WiFi connection can leave you with 72% of battery life. Playing videos and going through photos for 15 minutes straight leaves you with 38%. And, connecting to a 4G LTE for Internet browsing leaves you 10%. On the other hand, one great thing about the iPhone 7 is its fast-charging technology. Even if it’s drained to zero, you can have charged up to 80% in just an hour of charging. It is one thing to monitor a smart phone’s battery life, and another to extend its battery’s lifespan. Technically speaking, battery lifespan is the length of time the entire phone battery can work. This length highly depends on how frequent you recharge it and how much energy you use daily. There are some factors that can affect the overall age of a battery. 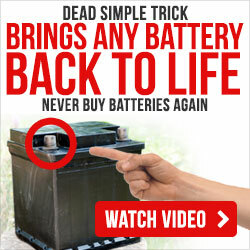 Naturally, all rechargeable batteries wilt through time and perform less effectively. This is where it all ends; you will eventually notice that you’re recharging more frequently and you get low battery faster than ever. As your phone ages, you will also notice other symptoms such as slow loading of apps, slowing frame rates when scrolling, lowering of speaker volume, and light dimming. When it gets worse, you might even have to keep on refreshing your apps for them to work. Meanwhile, while your iPhone 7 is still relatively new, how will you be able to maximize its battery life and lifespan? What can you do to save as much power as you can in your daily phone usage? First of all, you have to remember that draining your iPhone’s battery isn’t good. A lot of reviews advise that you start charging your iPhone when it goes down to 10%. This helps maintain the overall life of your battery. But in case you are somewhere far from an electricity-supported facility or just traveling, what can you do to save battery? Lowering the brightness of your screen display can be just the saving you need to get the extra power. Instead of halfway through or 60%, you can lower it down to 25% if the environment you are in isn’t too bright. You can also turn off iPhone features that eat up your battery juice, such as those that connects you to different networks. Your Bluetooth, for instance, should be turned off when not in use. The Airdrop feature must also be turned off when you are not transferring or receiving any files with a nearby network. Just swipe up from below your screen and tap on the Airdrop button. Your WiFi connection should be limited to 3G when you’re low on battery too. You can resort to cellular data connection. Or better yet, just turn off all data connection altogether. You may also turn off features that link to your location. When your iPhone uses the GPS and automatically looks for certain locations, your phone is performing way than it should. This results to your battery running low. There is another feature called Background App Refresh that works wonders. Just enable this and your phone refreshes all the apps that are currently running on your phone. This helps you save juice and maintain the speed of app functions. Some users do the app refreshing manually by clicking on the Home button twice and sliding off the apps that are open. However, other iPhone reviewers are debunking this method. They say it’s still best to go to the Settings and enable the Background App Refresh button to be sure. Notifications from apps also kill your battery so quickly. What you can do is to disable the push notifications in the selected apps in the Settings tab. Enable only the ones that are most important for you such as emails. For social media notifications, you can always just go straight to the app and check from time to time. Some apps automatically updates too. This does not only lower your battery life but also slows down the phone altogether. Likewise, there are automatic downloads that happen to your phone when you turn it on or when you sign in. You can turn this off in the Settings by tapping on iTunes and App Store and sliding off the cellular data. This allows your phone to only update when there is a more reliable connection such as a WiFi. Another method brings us back to the very basics of a cellular phone—the profile settings. This includes the silent and vibration modes. Instead of going all out on call and message alert tones, why not put your phone on silent mode? And while you are at it, try not to have the vibrations enabled too as this drains the battery too. Do this by going to Settings, tapping on Sound and Haptics, and slide to turn off the Vibrate on Ring option. You may notice that your iPhone’s screen turns off when you don’t use it. To save battery, have the auto-lock feature work in the shortest amount of time. Have the screen turn off after a minute or less rather than 20 or 30 minutes. The latter causes your phone to drain more energy as it is left open and working. There is also such a thing as display motions on your iPhone. This makes your screen display look more animated than usual. If your priority is to save battery life, make do with just a plain display. Reduce the motion effects by going to Settings, tapping on General, tapping on Accessibility and sliding off to turn on Reduce Motion. Sadly, iPhone 7’s battery lifespan is deemed to be shorter than that of the previous iPhones. This verdict comes from the phone experts who have tested the unit several times in different circumstances. But if you have already purchased one, there’s no need to fret. You can always stick to the abovementioned tricks to save battery life. By keeping these tricks in mind, you will be able to buy yourself some more time to do what you need to do with your phone. And more importantly, you save yourself the hassle of recharging your phone over and over again. What we all want is for our iPhones to be a bang for the buck right? So let’s try to be more productive with it by saving as much power as we can. Priority is the key.